Barça B couldn’t round off the year with a win, Gerard Lopez’s team falling to defeat against an organised and defensive Albacete side at the Miniestadi (0-1). It was a game in which the hosts tried to break down their opponents from the first whistle, but even playing with five strikers at times, they were still unable to beat Tomeu Nadal. Albacete’s defence was rock solid, and in spite of having 74 percent of the possession, the Blaugrana couldn’t penetrate in the danger areas. In fact, the hosts managed just two shots in the entire first half from Marc Cardona and Arnaiz, neither of which troubled Tomeu. To make matters worse, it was ex-Barça player, Nili Perdomo, that finished from inside the area to score the only goal of the game (0-1, min 7). Barça pushed hard after the break and the clearest opportunity fell to Marc Cardona again, but his shot was deflected (min 69). 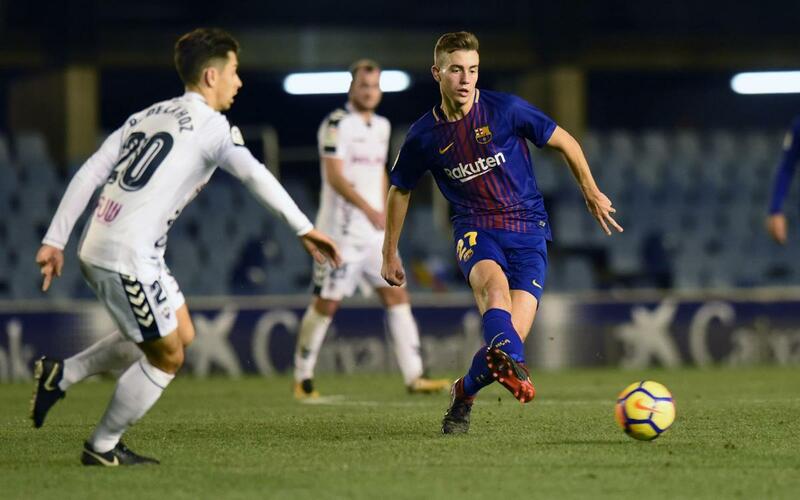 Albacete became increasingly defensive in the closing stages in order to ensure victory, and the defeat means that Barça B closed 2017 with a total of 20 points in 20 Matchdays.